Lovely wood, strong, sturdy changing table, can be used as a bathing table for newborn baths, or simply giving baby a top-to-toe wash. Mattress has comfy foam base with safe blow-up sides. Shelves are large and strong for ample storage space. 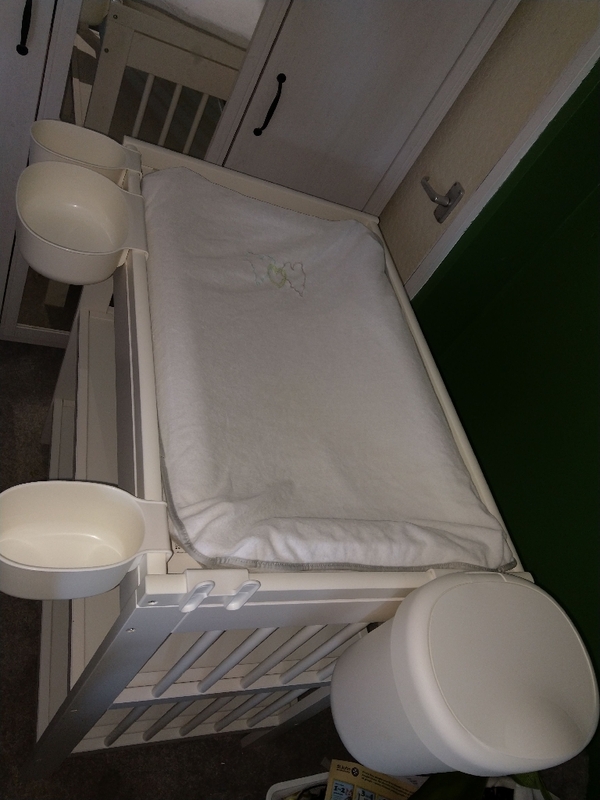 Comes with nappy bin and storage/wash pots and mattress cover, all recently been thoroughly washed and sanitised top to bottom. 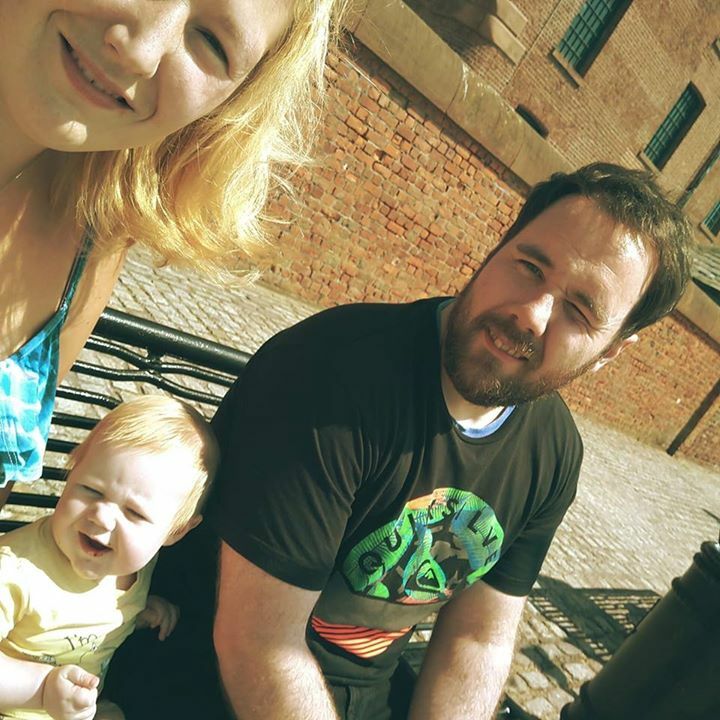 Excellent condition, like-new as only used a few times when baby was born in november. 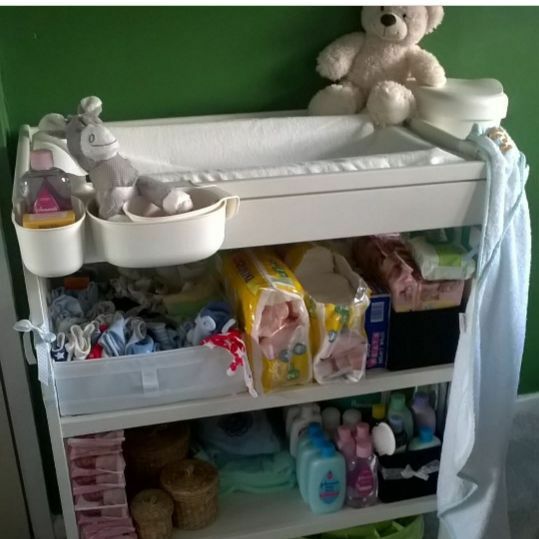 Great addition to newborns set-up. Also comes with bundle of boys clothes, items in black storage case are all up to 1month, mix of separates including jacket and baby grows. 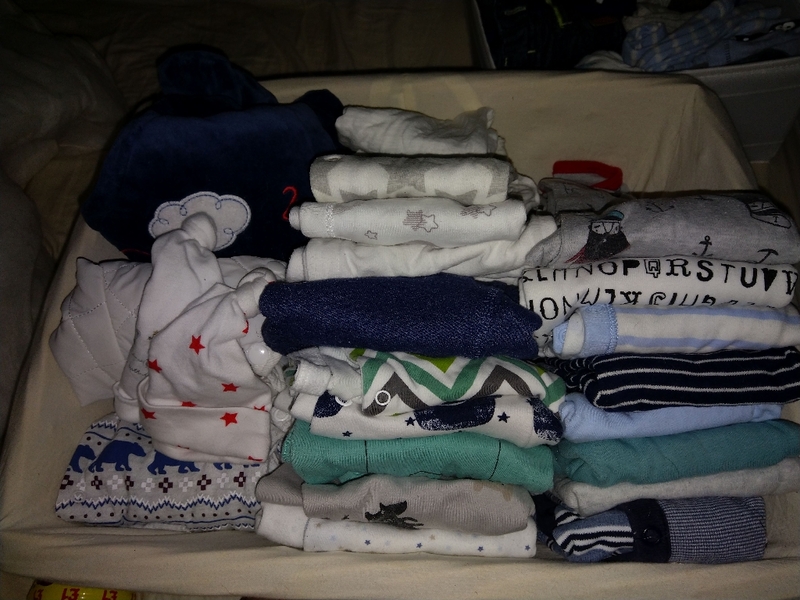 Those in the white storage box are all separates, jeans, tops, pants, t shirts etc (0-3months) and large basket contains (0-3mnth) babygrows, pram suit hats, some unisex. All clothes are well looked after,clean and from completely smoke-free home. Pick-up only as I don't drive.